John bartending at the Columbus Circle Club. 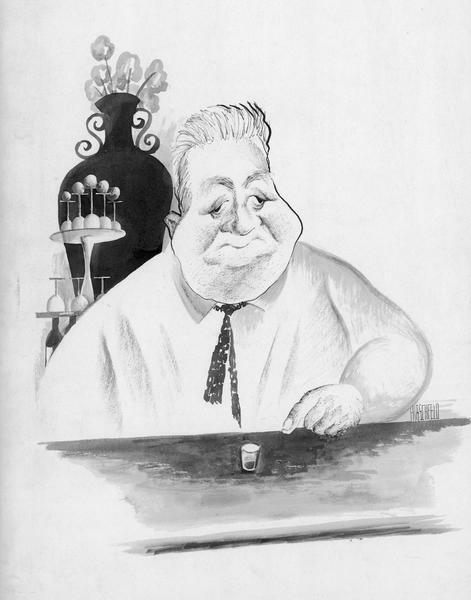 This image is from a series of drawings of New York bartenders and bars published in the book Manhattan Oases, New York's 1932 Speak-Easies by Al Hirschfeld, page 33. With a Gentleman's Guide to Bars and Beverages by Gordon Kahn. Published by E. P. Dutton & Co., Inc., New York in 1932.